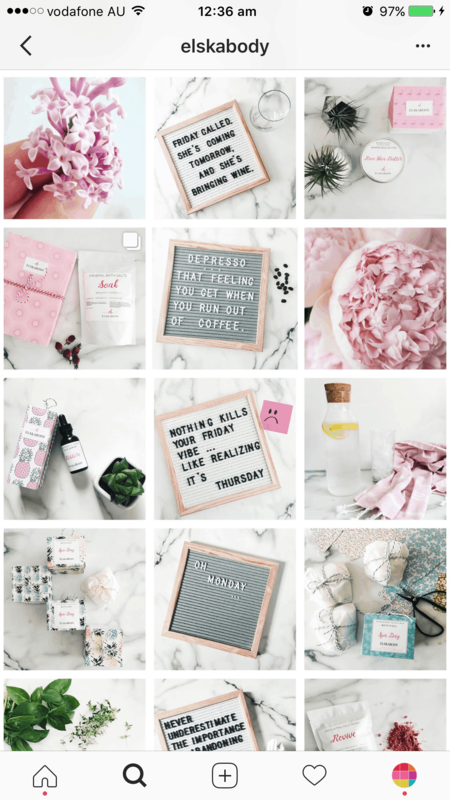 How To Choose the Perfect Filter for Your Instagram Theme? 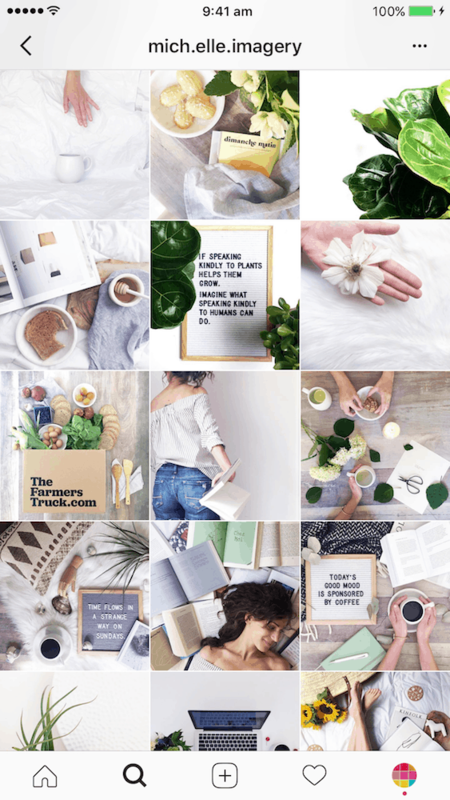 How can you choose the perfect filter for your Instagram theme? Choose the right one and you’ll have a cohesive look. If you choose the wrong one, your filter and photos will clash. The tips I’m about to share are VERY important if you have a business or if you just want an aesthetic feed. The bottom line is: you want to make a good first impression and look presentable. I know it can be so hard to find the right one. You see an Instagram account you love, you want the same style, but your feed doesn’t turn out the way you want it. What are you doing wrong? Luckily, it’s super simple! You just need to know what to pay attention to. I promise it will make more sense after you read this article 🙂 Let’s start! This is the first and MOST important step. 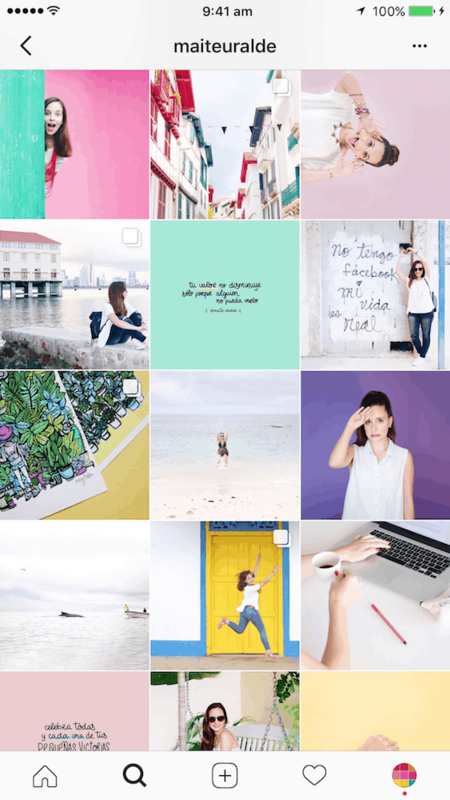 A theme is how your Instagram feed looks like overall. Find 1 Instagram account you love. 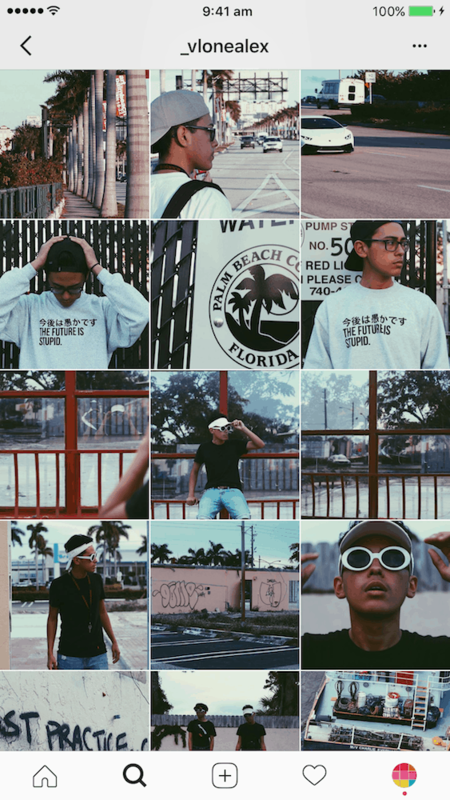 You should be taking similar type of photos as this account to achieve a similar theme style. Be realistic. What filter do you choose? 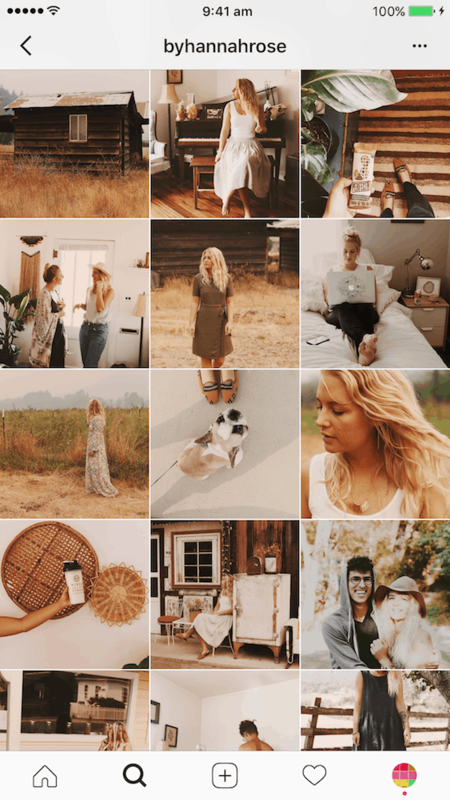 Because her feed has a vintage vibe, I’m going to use the Vintage Filter Pack (in Preview app). Filter N7 in the Vintage Filter Pack will be perfect. What filter? The filters from the the Dark Filter Pack will be great! 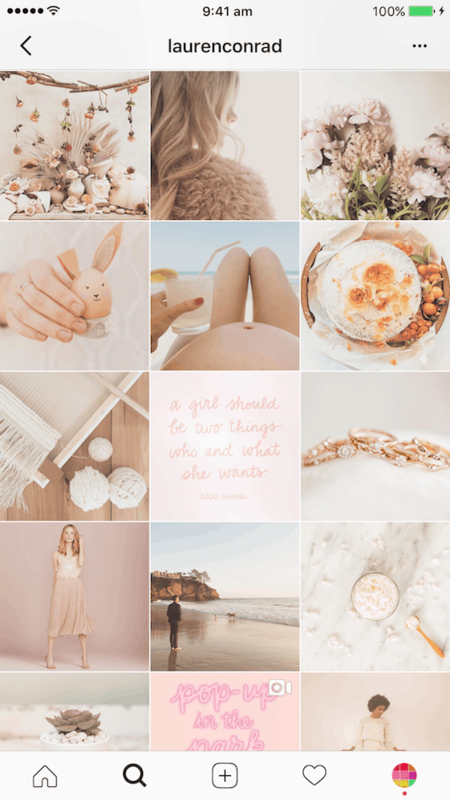 Everything becomes much easier once you know your theme style because you have a vision of what you want your feed to look like. Where can you find a filter? Like I just showed you can find different filters in Preview App. If you’re new around here, Preview is an app to design and schedule your Instagram feed. This is why Step 1 was so important. You need to know your style. Type keywords (like “orange”, “bright”, “colorful”, “summer”) to search for the best filter packs for your theme. 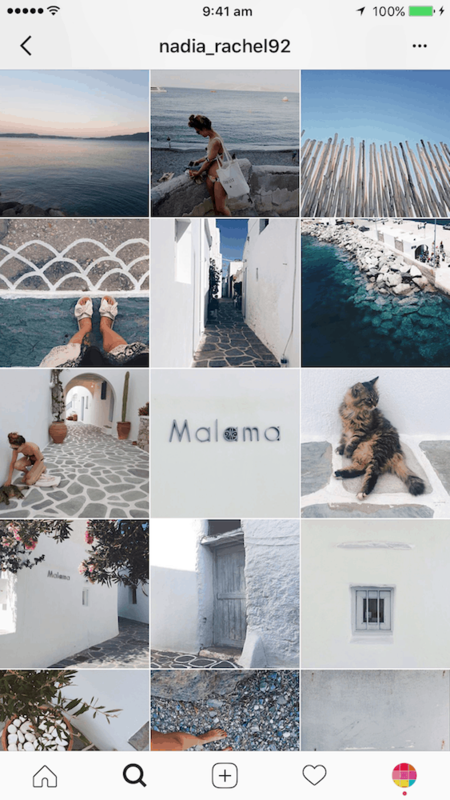 @byhannahrose wants a warm, orange, vintage theme so she uses filter C3 from the Fall Filter Pack. @maiteuralde wants a bright, colorful theme, so she uses filters KK2 and KK4 (Colorful II Filter Pack). She also uses filter DD6 (White II filter pack) to make some photos brighter and colorful. This is another way to choose the right filter for your theme. 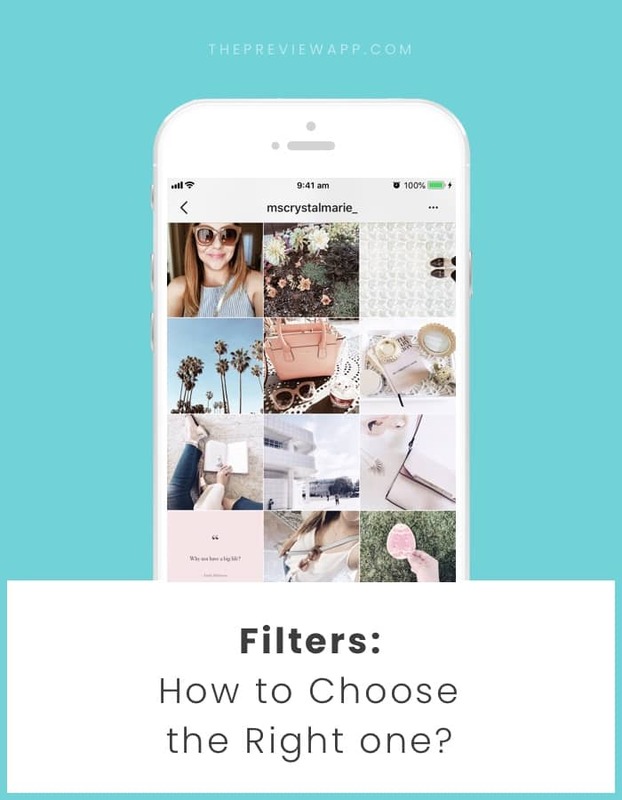 Choose your filter based on the type of photos you take. She uses filter DD3 from the White Filter Pack. The White Filter Pack is perfect for her because she takes a lot of photos with a white background and natural colors. The filters in the White Filter Pack make the whites whiter. They will also brighten and enhance the other natural colors in your photos. Use a different filter. It can be another filter from the same filter pack (example: Dark filter M1 on landscape photos, but filter M6 on selfies). Did you notice that sometimes we create a theme but it looks off… something is wrong? Generally, it’s because the colors in the photos CLASH with the filter. They don’t go well together. I’ve already told you how IMPORTANT the colors in your photos are. Make sure you’re using photos that actually go well with your filter. If you want a dark theme but you use super colorful & bright photos, that’s not going to work really well. The filter and photos will CLASH. You need dark photos and photos with dark things in them (like dark outfits, roads, shadows, forest etc..). It is so important to stick to one filter only when you start making your theme. Find one filter you like and stick to it! 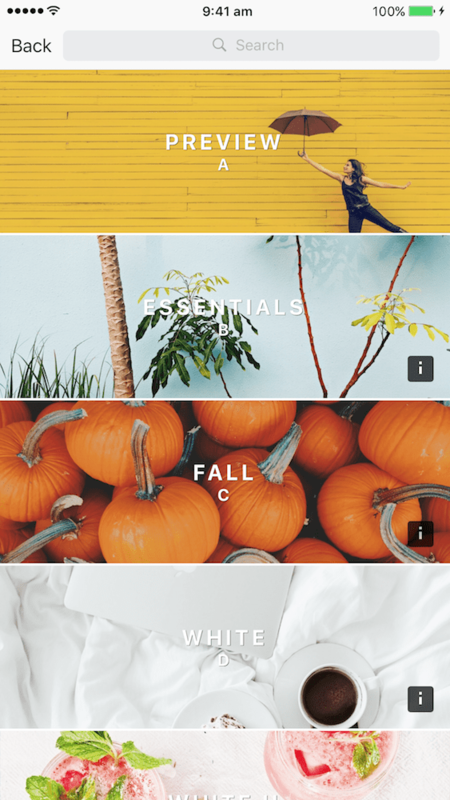 Using only one filter on all your photos is the easiest way to start creating your theme. 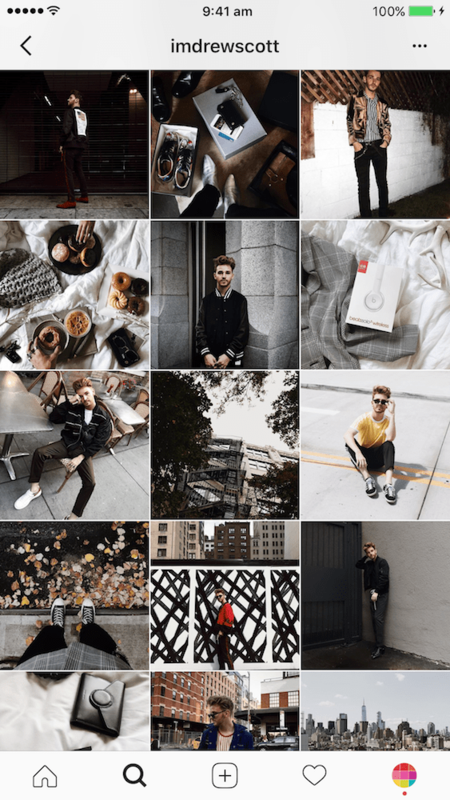 One filter will make your feed look more cohesive instantly. @nadia_rachel92 uses filter B2 (Essentials Filter Pack) for her travel and lifestyle account. @_vlonalex uses filter B6 (Essentials Filter Pack) for a dark, blue moody theme. @elskabody uses filter DD5 (White II Filter Pack) for a soft, white theme. Quick tip: Do you really have to stick to only one filter only? No. But it is the easiest way to start a theme. Once you get more comfortable with analyzing the colors in your photos and the vibe you want to achieve, you can select 2 or 3 other filters. Are you enjoying my tips so far? 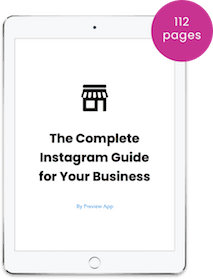 I wrote a complete, step-by-step Instagram guide to help you create a cohesive Instagram feed. Everything you need to know is in there. Click here to download it. And finally, get inspired. 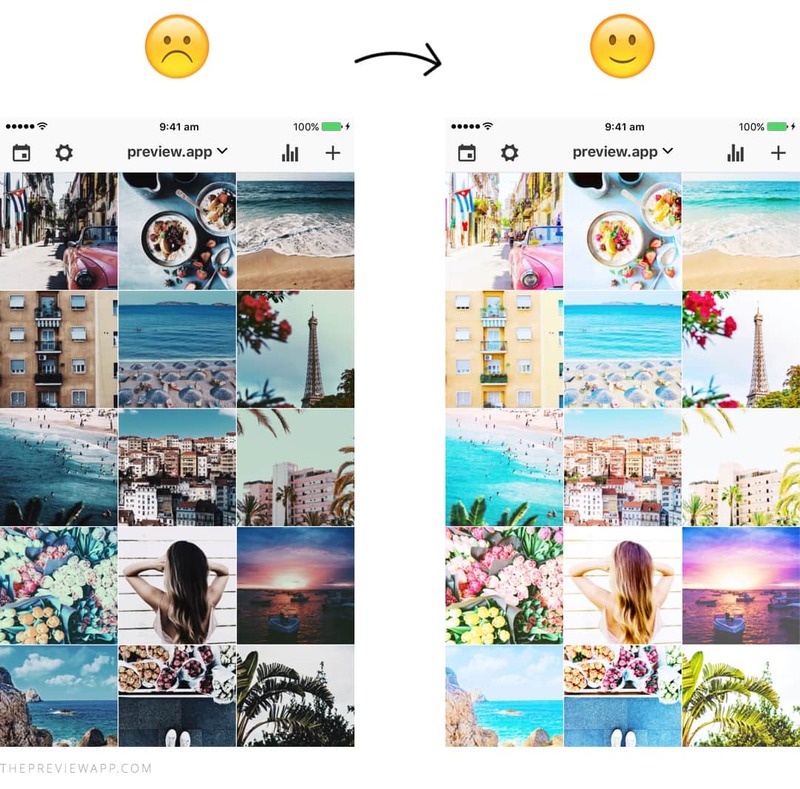 If you’re unsure what filter to choose for your theme, jump on our Instagram page @preview.app. We share lots of theme inspiration using different filters. That’s it! What filter do you use for your theme? What filter do you use for your theme? And what do you love about this filter? Remember, it’s all about taking your time to find the right match. Have fun, relax and play around in your Preview app. Please tell me in comments if this article is useful. Feel free to ask me any questions if you have any. I’ll be around. And if you need more help creative a cohesive Instagram feed, feel free to download my step-by-step guide below.